Pete and I have heard that more in the past three years than ever before. And we can’t entirely deny its truth. “You quit your jobs and sold everything you own to travel? You’re crazy.” Yes, we realize that this is not a normal thing to do. “You live on whatever you fit in those backpacks? You’re crazy.” Smelly and wrinkled some days, yes. So perhaps a little crazy. Whoa, hold the phone on that one. Sure, the adjustment was tough. We went from being independent corporate climbers who worked long hours apart to spending every minute of every day together, learning to live with each other’s eccentric (and often annoying) habits. Old roles were also thrown out the window – no more splitting who mows the lawn or takes the car in for an oil change, instead we had to settle on who would do the research for our next destination and who would write the latest blog post. For the first few months, it was quite painful and hard on us, and it all took place in the middle of a foreign country where comforts were few. Fast forward almost three years. We are no longer just co-existing spouses, we are a part of each other, important appendages even. Compacted time together means it feels like we have been married twenty years instead of ten. We have become a fairly well oiled machine in travel, in business after pursuing Incorporation Canada, and even in our relationship. We’ve learned some important lessons about marriage – things we wish we would have known at the start of our travels, or even day one after our wedding. Keep some space and independence. In the first few months of travel, this was the hardest thing to realize. Little annoyances brewed into big fights, when in reality just stepping away from the situation to clear our minds would have been the best solution. We have since learned to ask for time apart if we need it, and to not judge each other when it is asked for. Space and time alone always provides a new perspective. Respect each other’s limits, but don’t limit each other. As we worked our way from south to north in Colombia, Pete talked repeatedly about wanting to do the trek to La Ciudad Perdida – a lost city of the Tayrona people that required five days in the remote jungle. However, sleeping in hammocks and hiking with jungle creatures is not my idea of a good time. Rather than one of us having to compromise on this fork in the road, I ended up beach-side on my own for five days while Pete encountered scorpions and hiked in heavy humidity, and we were both happy. For the past three years, anniversaries, birthdays and other momentous occasions are marked with new experiences, not material goods. Granted, our limited backpack space doesn’t allow for new “things” anyway, but we’ve really learned how to make special days even more memorable. I can tell you exactly what I did for my thirty-fourth birthday in Peru (took a small plane ride over ancient ruins), but ask me what I got for my twenty-ninth when still cozy at home…I couldn’t tell you. Keep the romance alive, even when it’s difficult. Most recently we’ve been in Turkey for three months, a Muslim country where public displays of affection are taboo (except in the more touristy areas). Well aware of how awkward it would be to land a smooch on one another in a public place, we instead starting tapping each other’s shoe when we felt the urge. Once we got over the fact that our loafers were getting pretty scuffed up, we were pleased to have our own little ritual in place to show affection. So, are we indeed crazy? Each morning we wake up and are excited to see what the day will bring. We are constantly introduced to new cultures, amazing scenery, food that tastes like nothing at home, all the while facing the same challenges all marriages do. But this lifestyle has allowed us to constantly grow and understand each other unlike any other situation we’ve been in before. It has been the best thing we’ve ever done for our marriage. And for that reason, we really don’t think we’re that crazy at all. What do you think? Could you be with your spouse 24/7 and love it? Share your thoughts in the comments. 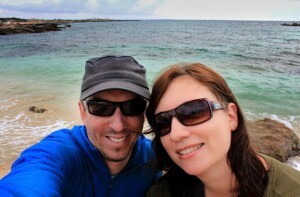 Dalene and Pete Heck are a Canadian couple who sold everything in 2009 to travel the world. They have since been to twenty-six countries together and have no plans to stop. Most couples realize the importance of dating to keep strengthening their marriage. However, once you introduce children into the picture, dating takes on an entirely new purpose. It is even more important to carve out that time to spend together or you may never get time alone. Unfortunately for many young couples, money can be very tight when you are first married and just starting out, and the idea of paying for night out on the town and the cost of a babysitter can be daunting. Forming a babysitting co-op can make it a lot easier to continue to date! There are several different ways to form the co-op. One way is to use coupons that you swap with each other when you babysit. This way allows for more flexibility and you can have a larger group. When you need a babysitter, you contact another family in the co-op and see if they will babysit for you, and then you give them coupons they can cash in when they need a sitter. Another way is to set up a schedule with each family in the co-op being responsible for sitting at their home each week, on a set night usually Friday or Saturday. Then the other families in the co-op will drop their children off for the evening, and pick them up. It helps to have a scheduled time that all the children need to be picked up by. Although this does not have as much flexibility, it may help you begin scheduling and going on dates, because you will still need to babysit even if you do not use all of your co-op nights. One key to success in the co-op is choosing a blend of families that will work well together. It helps to have children that are near each other in age in the co-op. This does not mean that every family needs to have a two year old or a four year old. But if you can find a blend with both older and younger children, it will help the co-op to go more smoothly since one child will not be bored the entire time. Additionally, you need to keep the number of children in the co-op to a reasonable and manageable size. Generally if you have more than four families it can get complicated, but if you have large families you may need to limit it to two or three families instead of four. It is best to have some sort of structure to the night, especially if you have a large number of children in the co-op. You can begin the night with free play and allow the children to explore your home. If you have a yard, letting them play outside while it is still light out can really help to make things go better. After free play, you can have a snack and possibly complete a craft activity. Generally, it is best to put on a movie towards the end of the night, as the children tend to get crazier as they become more tired. This gives everyone a chance to unwind and makes it easier to start having children go home as parents arrive. 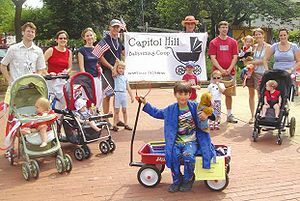 Have you tried a Babysitting Co-Op? Does it sound like something you’d like to try? Heather Green is a freelance writer for several regional magazines in North Carolina as well as a resident blogger for onlinenursingdegrees.org. Her writing experience includes fashion, business, health, agriculture and a wide range of other topics. Heather has just completed research on associates degree in nursing and online nursing programs in nc. Guys, if you have a landmark anniversary coming up, there’s no doubt you’ve started to give some consideration to what sort of gift to get for your wife, or what kind of statement you’d like to make. Needless to say, it is important not to let big anniversaries go by unappreciated, and sometimes it’s really nice to make a big deal out of one, as a symbol of your enduring love and devotion to your spouse. However, this is easier said than done. Sometimes it takes more than a romantic date or a thoughtful gift to really make an anniversary count. 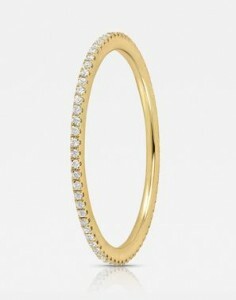 This is why one thing you might want to look into is the selection of 77Diamonds eternity rings for gift inspiration. Marriage is full of symbolic jewelry when it first happens, with both the engagement ring and the pair of wedding bands symbolizing love, devotion, and eternal connection. In fact, the entire point behind a wedding ring, from a historical context, is that it is a continuous metal loop, signifying that the connection it represents never ends. However, while this symbol is supposed to be a lasting one throughout your marriage, it certainly isn’t a bad idea to renew it through gifting an eternity ring to your spouse on an important anniversary. Really, that is the whole idea behind these rings. While most wedding rings consist merely of metal, eternity rings are studded with precious stones (usually diamonds) either half way, or all the way around the band. Not that this is specifically an upgrade over a wedding band, but it can certainly serve as a symbolic emphasis or renewal of your marriage commitment – not to mention, it will be a spectacular piece of jewelry that your wife will no doubt appreciate merely from a beauty perspective as well! Ultimately, of course, your gift depends on a number of different personal factors. It may be that you are aware of something your spouse badly wants or needs, or it may be that you already have a fantastic romantic gesture planned. However, the great thing about anniversaries is that they come up every year, which means that there are always new opportunities to do something special for the person you love. Nobody expects something huge every year, but at some point in your marriage it may be a very nice idea to look into a gift like an eternity ring, that is not only beautiful, but also meaningful with regard to your enduring commitment to your wife. This guest post was written by jewelry lover Veronica Hanes. Should You Tell Your Friends about Your Marriage Problems? The subject of disclosing marriage problems to your friends is one I’ve been pondering quite a lot lately; ever since an old friend I went for a drink with the other night (let’s call him “John”) told me that his marriage was in trouble. I feel a bit bad for saying this, but the first impression I felt when hearing this confidential piece of information was that John was being a bit disloyal to his wife by telling me of his marital woes. However, it is important to add that my friend told me not in a spirit of complaint but in a manner of regret and with the air of someone who felt he needed to unburden himself to a trusted friend. I guess all his trusted friends were busy that night, so he had to tell me instead! And while I could well imagine that his wife wouldn’t be too happy that her husband was telling a mate that his marriage was far from perfect, I could also put myself in John’s shoes – if I was him I would want to talk to someone if my marriage was in trouble. And maybe just as I was talking to him about marital strife his wife was talking to one of her friends about the same subject. I’d like to think that she had someone to talk to. Which brings us to the subject of who you should share your worries with. I’d be honored to think that John chose to confide in me because I am his closest friend in the world, but much as I like to flatter myself, I don’t think this is the case. He has far better friends than me but, from what I know, these happen to be mutual friends of himself and his wife. I cannot be classified as a mutual friend; I certainly don’t dislike his wife, she is a very nice lady, but I knew John long before I knew her and most definitely said ‘groom’ and not ‘bride’ when seated by an usher at their wedding. The fact that I am not a mutual friend somehow makes the act of him confiding in me seem less disloyal – I move in a different social circle to John and his wife and there is definitely no issue of ‘taking sides’. As I only see John occasionally, it is perhaps easier for him to share his worries with me than with people he sees every day. While I’m hardly a stranger he’s just met when ordering drinks at the bar, I’m also not the kind of friend he’ll bump into each day at the water cooler; the kind who’ll ask for regular marriage updates each time they pass in the hallway at work. So, to answer the question posed by this article’s headline: yes, I do think it’s a good idea to share your marriage problems with a friend rather than just bottling them up. Of course, there’s no need to take out a full page advertisement in the Times to inform the whole world of your marital difficulties. You don’t have to tell everyone: just tell someone. What do you think – who should you share your marriage problems with? After you have been with your spouse or partner for a number of years, it is easy to get frustrated with the little things they do that drive you crazy. However, it is also important to remember all of the sweet and wonderful things that you love about them. Here are a few tips for creating a list of the things that you appreciate about your partner, an exercise which will help keep your relationship strong and happy. To start, keep in mind that you can approach this exercise in different ways. For example, you list intangible qualities, like generosity, honesty, and kindness. Another might be to focus on specific things your partner does that you love – regularly preparing dinner, for example, or helping you remember important appointments that always seem to slip your mind. If you want, your list can be a mix of intangible and concrete things. At first, it may be difficult to create a list, especially if you’ve grown annoyed by much of what your long-term partner does. Sometimes they very well may be wrong, but other times they might simply be different. One of the first steps to appreciating your partner again is to learn to embrace their quirks without taking them to be negative. That is not to say that all behavior, destructive and non-destructive alike, should be warmly embraced. It does mean, however, that you should learn to recognize habits that are simply extensions of your partner’s personality, and not something to be criticized. Reflecting on your differences can help you create your list. Think about traits you might be lacking, but that your partner seems to have in abundance. Consider small chores you tend to overlook, but that your partner completes without fail. By recognizing your own tiny faults, it can then be easier to appreciate your partner’s qualities that manage to complement yours so well. Tap into your memory to find positive experiences you shared, too. Perhaps there is a warm moment that stands out, or a funny situation, or a difficult one that you got through together. Reflect on the qualities your partner contributed to the situation that made it so memorable. Chances are they are the same traits that you should still be appreciating. After you have created your list, don’t keep it to yourself! Let your partner know how much you appreciate them, and why. For an old-fashioned touch, write a hand-written letter that can be read over and over again. You could also tell them over a nice meal, or in the evening when you know they had a rough day. By listing and communicating the things you appreciate about your partner, you’re re-establishing a bond built on respect, admiration, and acceptance. Instead of cutting down differences, you revel in them. Rather than focusing on small mishaps in the present, this exercise forces you to reflect on positive experiences in the past. Drawing from the past to appreciate your partner in the present, however difficult that can be at times, makes it more likely you’ll boldly take on the future as a strong, supportive couple. This guest post was contributed by Tammy Warner, on behalf of Christian dating organization. Tammy is a freelance writer and contributes to various websites. She enjoys writing about relationship issues and spirituality.